Surprise your future wedding guests with something stylish, festive and useful! These save the date coasters feature "cheers" as shown in your choice of foil color. Your personalization below is stamped in the same foil color. Personalization Options: Your choice of white or black coasters. "cheers" and polka dots are printed as shown in your choice of foil color. 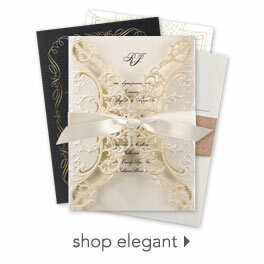 Your wording is printed in your choice of foil colors and fonts.